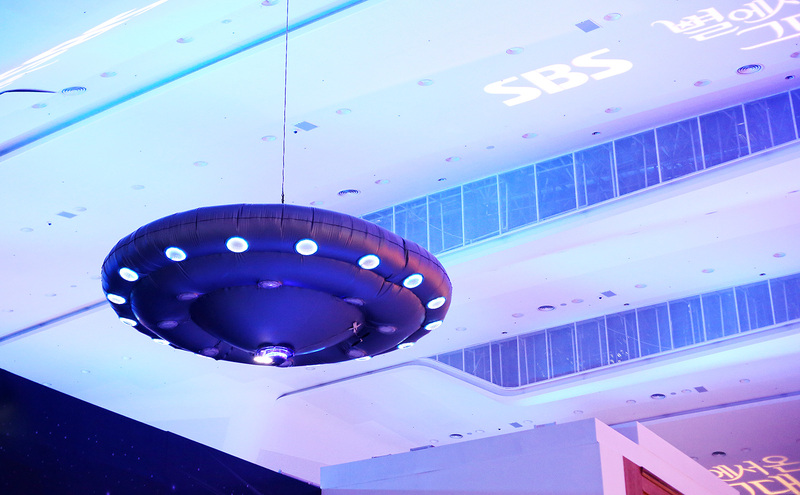 Here it is, the blog post all you K-drama fans have been waiting for–my visit to the “My Love From The Star” (or “You Who Came From The Star”) exhibit located at Dongdaemun Design Plaza. I don’t really watch a lot of K-dramas but because I’ve been hearing so many good things about this multi-awarded series, I started watching it before I left for Korea. Boy, did I have sleepless nights watching this! Not because this show is scary or disturbing. It’s actually a light romantic comedy with some sci-fi elements to it. (Don’t let the sci-fi part discourage you.) I found it so addicting that I finished all 21 episodes in 3-4 nights!!! No wonder it’s so famous all over Asia! 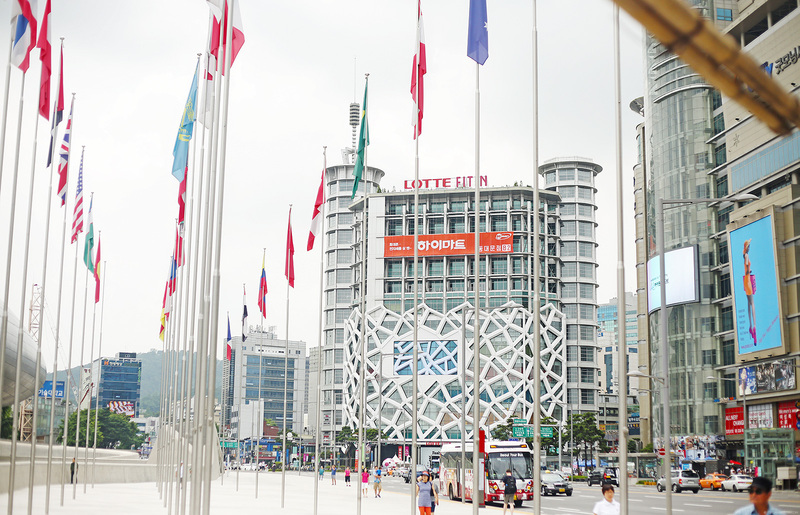 The location for the exhibit is perfect–right in the middle of Seoul’s fashion district, Dongdaemun, where all the shopping centers are located. 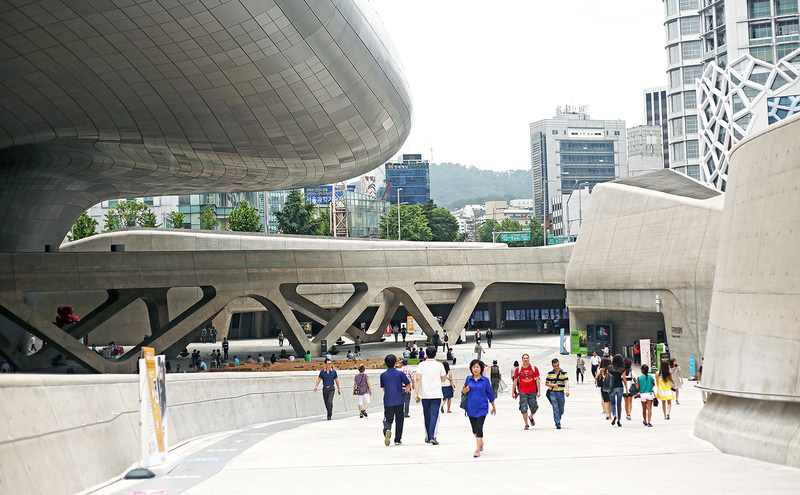 This is how the Dongdaemun Design Plaza (DDP) looks like from the outside. It’s the world’s largest atypical building, designed by architect Zaha Hadid. Design-related shows and conferences, exhibits and gatherings are usually held here. 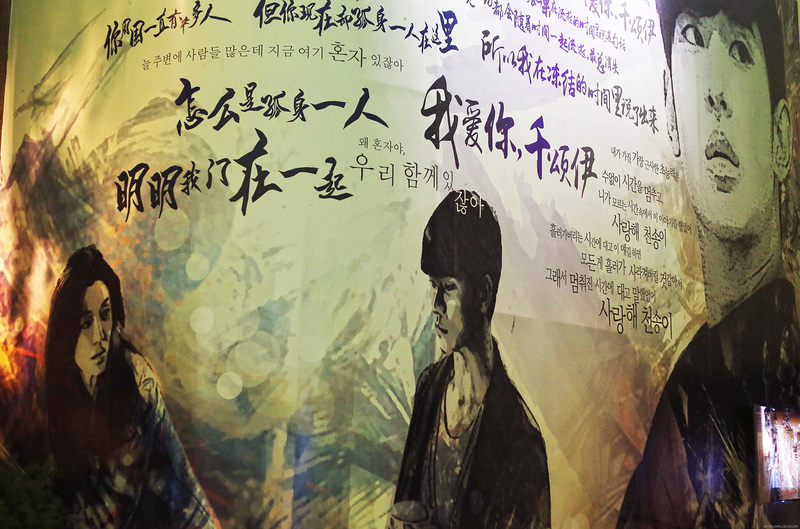 The “My Love From The Star” exhibit is at the DDP’s hall one. Tickets for the exhibit are sold here for 15,000 Won each. If you haven’t seen the series, let me give you a short synopsis (without spoilers, don’t worry). It stars Kim Soo Hyun who plays Do Min Joon and Jun Ji Hyun who plays Cheon Song Yi. Do Min Joon is an alien who fell to the earth 404 years ago. He has special abilities like being able to foresee the future, teleport, stop time and hear things even from afar but he never uses these powers so that he can keep a low profile. He’s been stuck on earth for the past 404 years but not once has he fallen in love. He doesn’t think much of love and lives in isolation until he meets the stubborn and conceited top actress Cheon Song Yi. 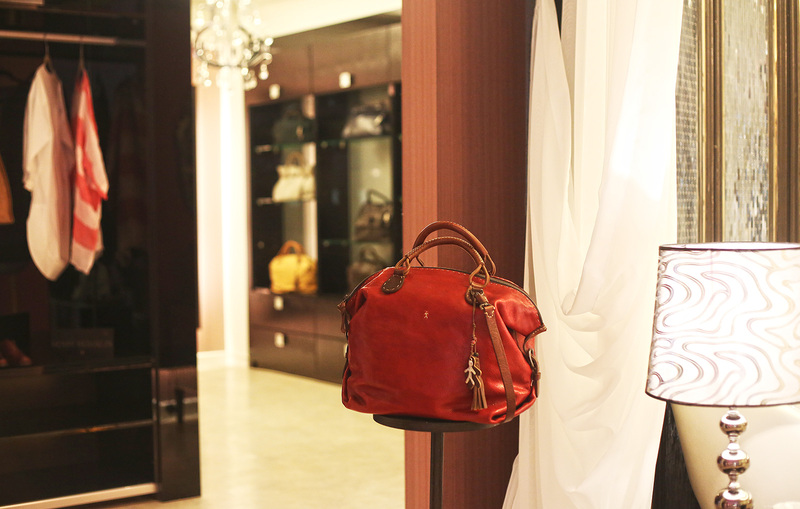 When you first enter the exhibit, you’ll find various props and costumes used on the series. 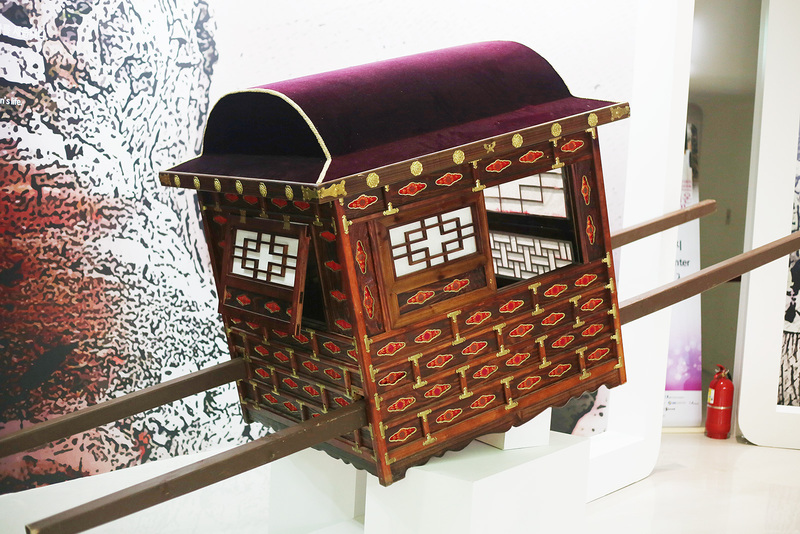 Since the male protagonist, Do Min Joon, first landed on earth during the Joseon Dynasty, there were plenty of historical props used during his flashbacks. I don’t want to spoil anything for you but for those who have already watched the series, I’m sure you know when this carriage first appeared on the series. 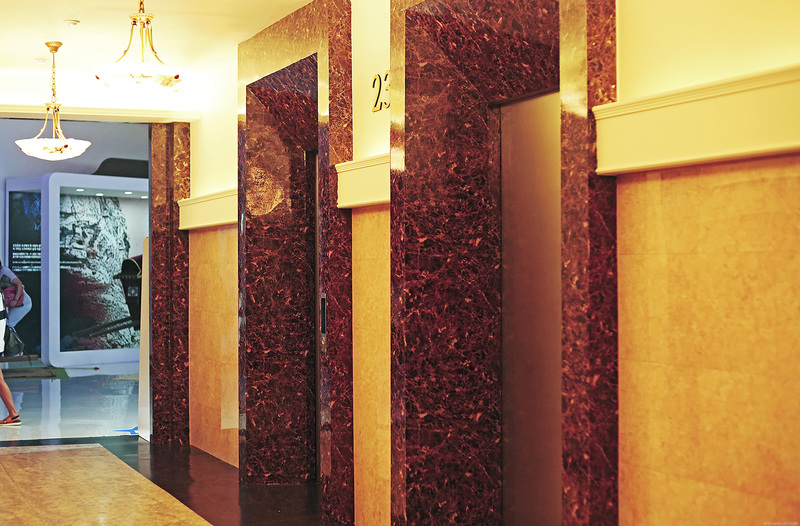 Do Min Joon and Cheon Song Yi lived in the same building with their units just a few steps from each other on the 23rd floor. So many cute scenes happened here! 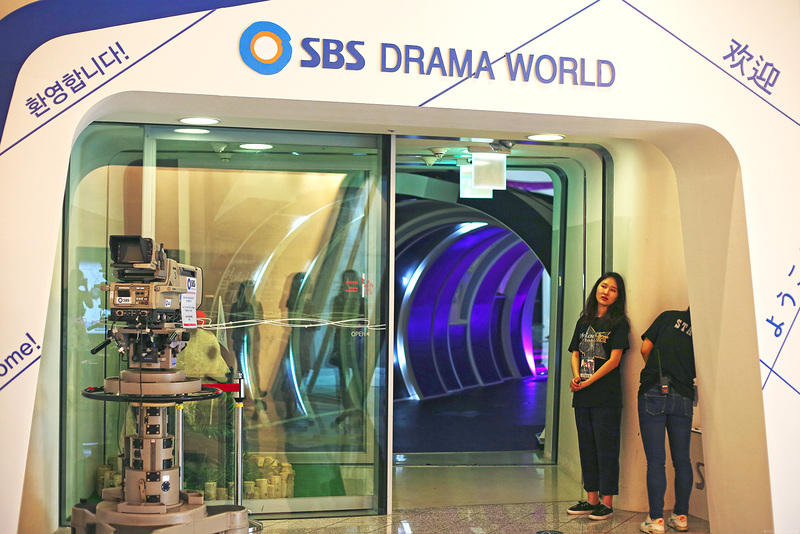 These sets are all actual film sets used for “My Love From The Star”. 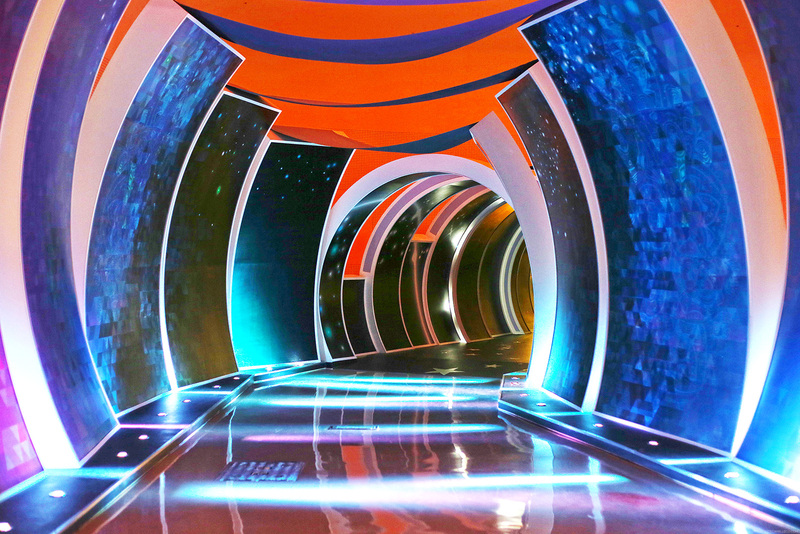 I’m sure you know whose hallway this is. It’s Do Min Joon’s! And that’s the bike he rides to school to teach his classes. 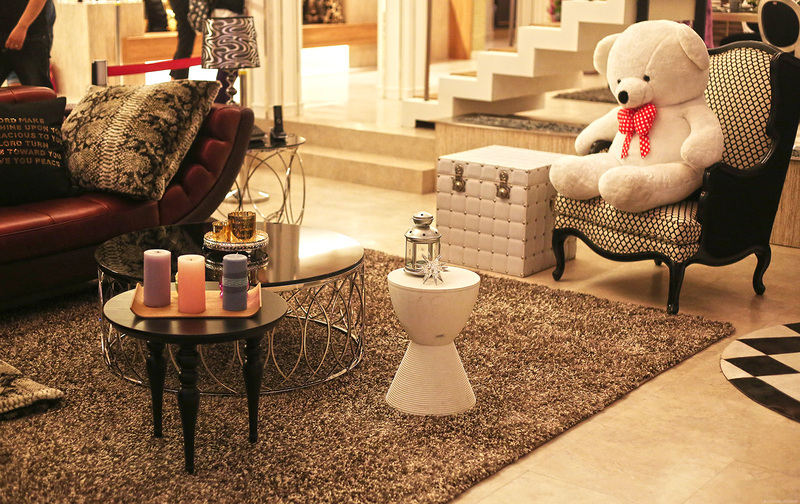 Do Min Joon’s living room. I wouldn’t mind decorating my place this way. So sleek! I call this Do Min Joon’s thinking chair and area. Do Min Joon’s bedroom where so many sweet scenes happened! 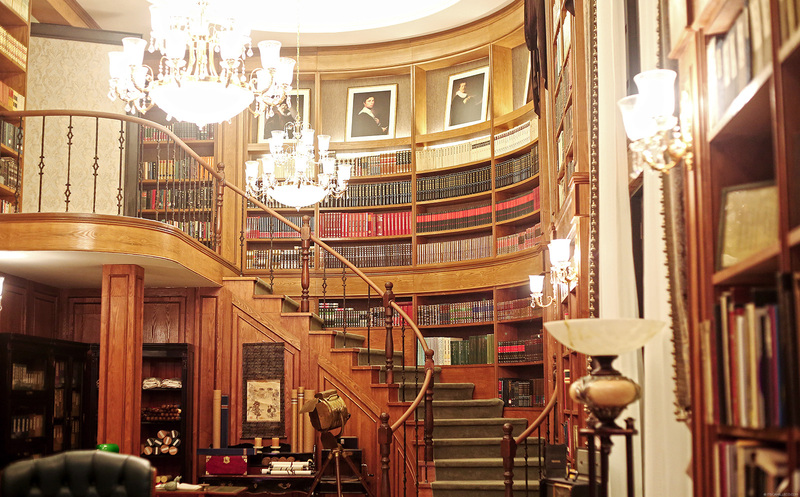 Do Min Joon’s library/office where he kept all his diaries documenting his 404 years on earth. This is where he shot his monologues too! 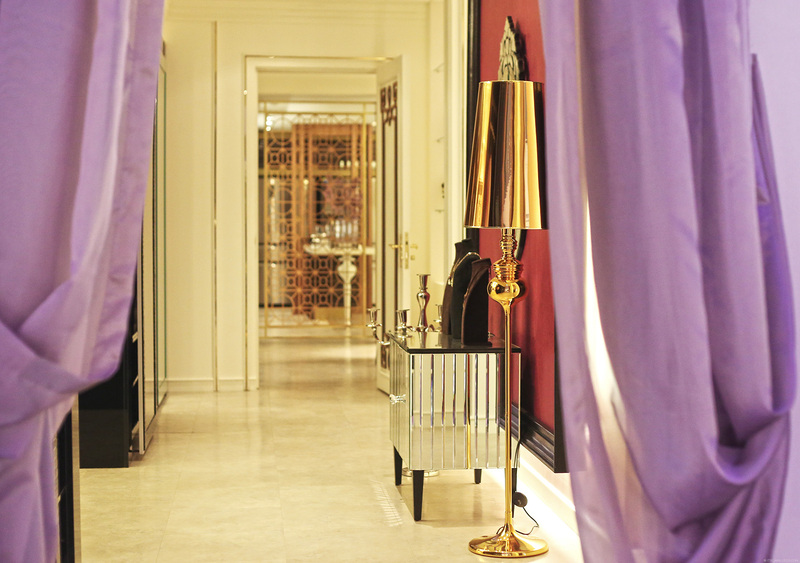 A condo fit for a top star, don’t you think? 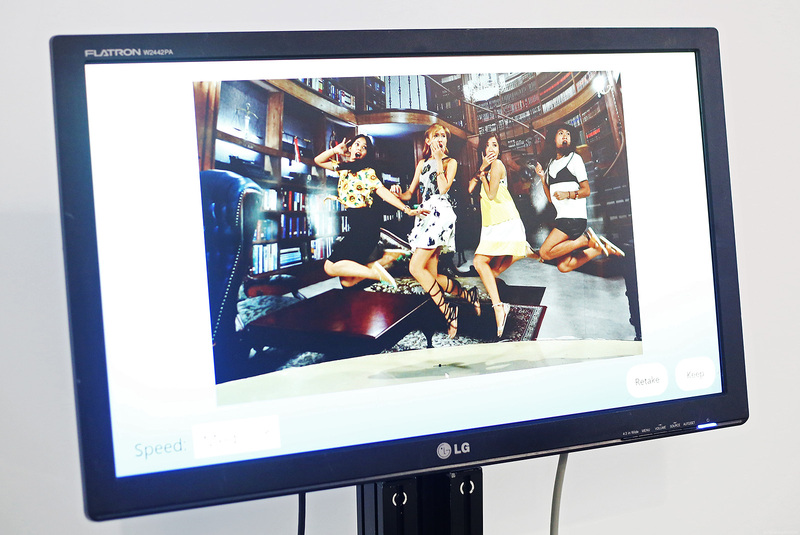 This is Cheon Song Yi’s unit. Cheon Song Yi or Jun Ji Hyun in real life is extremely beautiful. Look at that face! She’s such a charming actress as well. She’s one of the reasons why I loved watching this show. Of course, if you’re a conceited actress who thinks every man wants you and every woman wants to be you, then you’d have to have your face plastered all over your place, right? Kudos to the set designers! 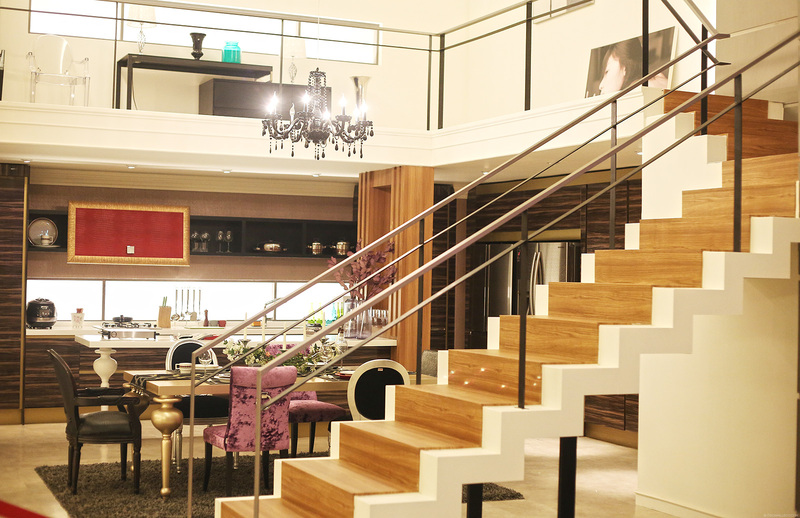 You can really tell what type of person Cheon Song Yi is by just looking at her place. 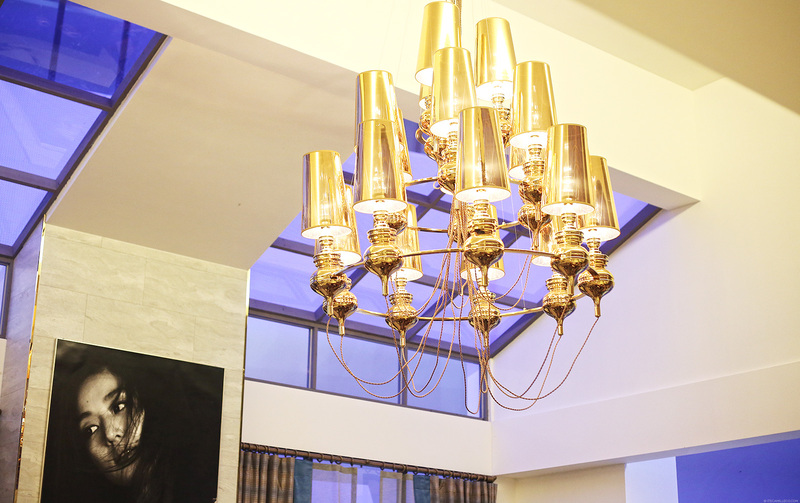 Cheon Song Yi’s dining area. 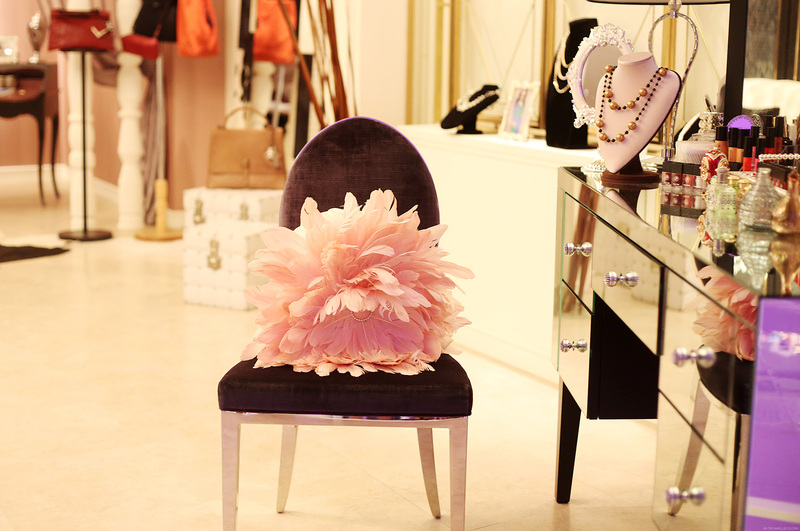 Don’t you just love the different textures and colors of the chairs? Spot the bear! This bear played an important role in the series. I’m trying my hardest not to spoil it for you so you just have to watch to find out why. 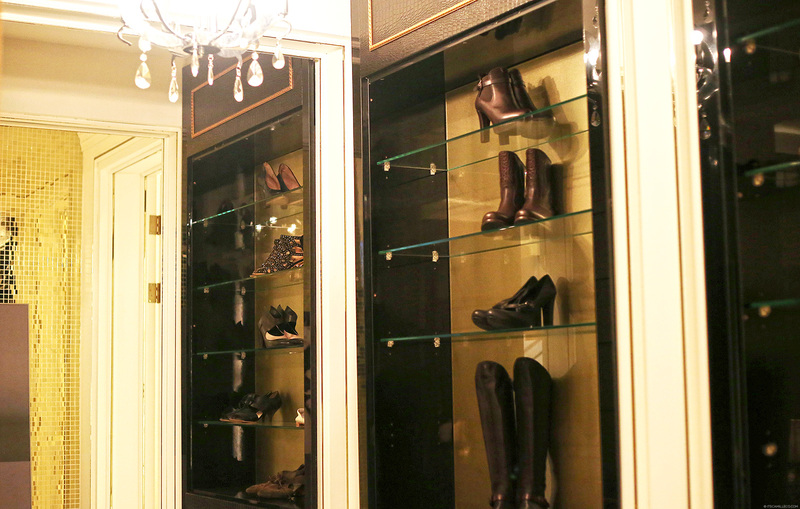 Cheon Song Yi’s enviable closet. Whoever styled Cheon Song Yi is the bomb! I adored all her outfits! My favorite has to be the plaid number she wore to her first day back in school. Fashionphiles, Cheon Song Yi’s clothes alone makes watching the series worth it. Welcome to Cheon Song Yi’s bedroom. 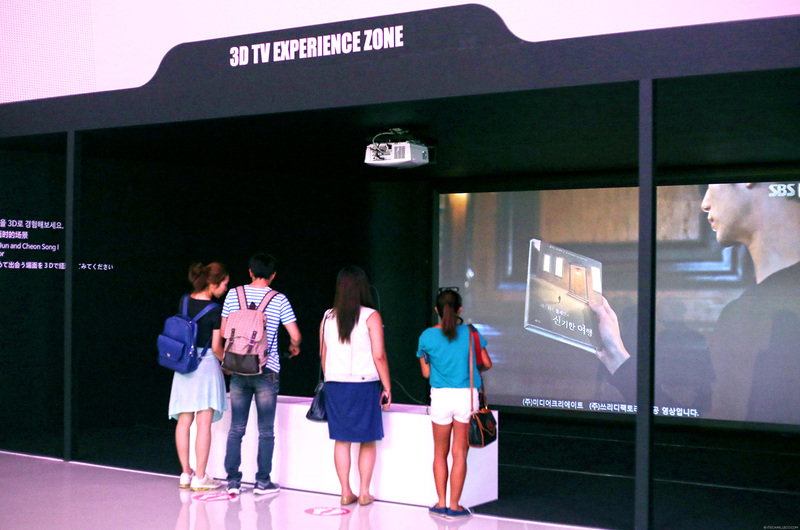 Aside from the props, costumes and sets on display, there are various activities and special zones set up for guests to enjoy like this 3D TV Experience Zone. This is my favorite zone. 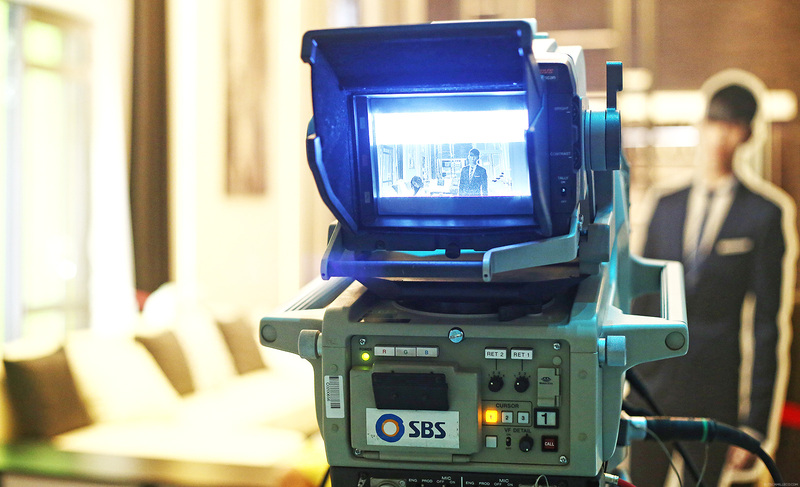 Since Do Min Joon possesses super powers, the series make use of a lot of special effects. One of which is this! It’s the same concept with the Matrix scene we all know and love where the character stops in the middle of an action and we get a 180-degree view of the scene. We thought we’d give that 180-degree stop action a try too! 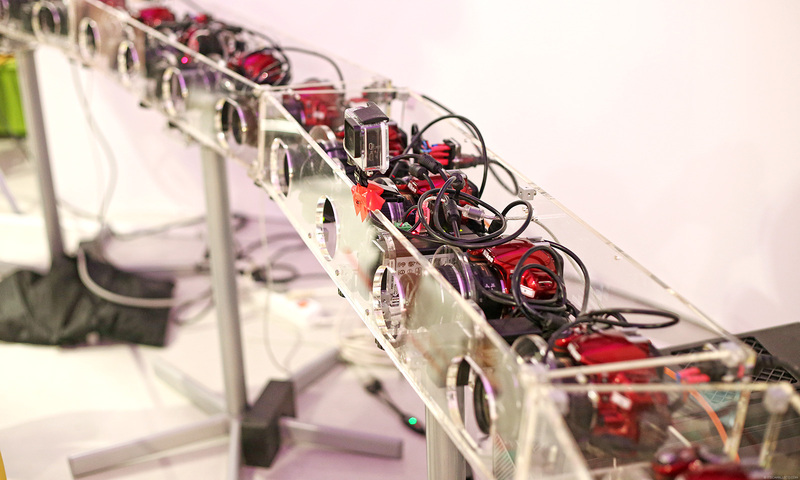 Look at the amount of GoPro and DSLR cameras needed to product this special effect! This is too cool to do just once. Of course, we had to do it over and over again! 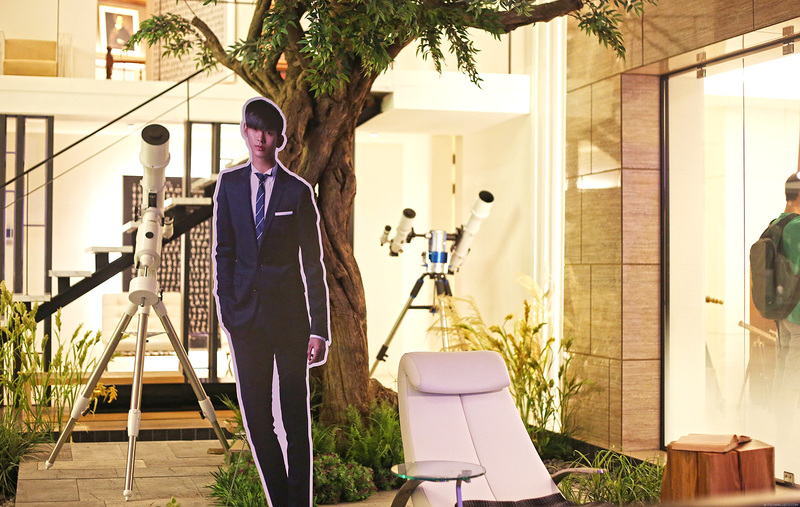 If you want to get the same “My Love From The Star” experience like mine, make sure to drop by the exhibit. It’s running until August 15 only. So there you have it! We’ve reached the end of my travel diaries from Korea. Thank you once again to AirAsia and KTO for making my first trip to Korea memorable. I hope you guys enjoyed these blog posts as much as I did. 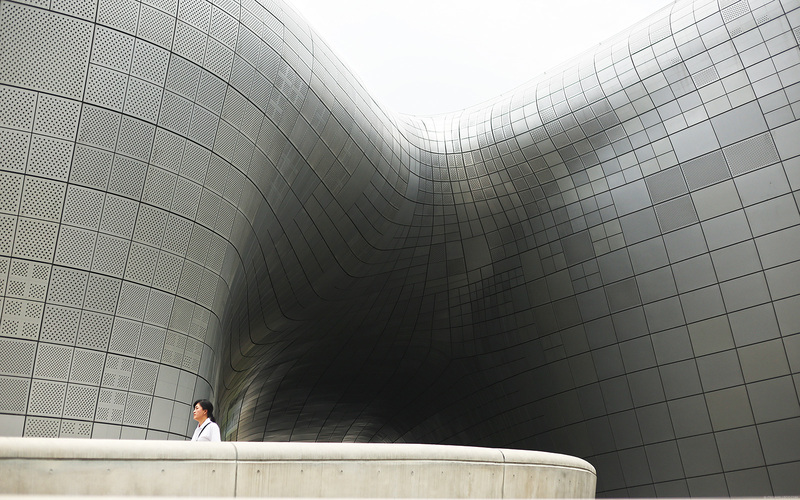 Is South Korea now part of your must-see destinations? Or has it always been part of your travel bucket list? If the answer is yes, then make sure you visit my blog tomorrow. You might just win a trip for 2 to the land of KPOP soon! I always love your blogs specially your outfits and places you go. 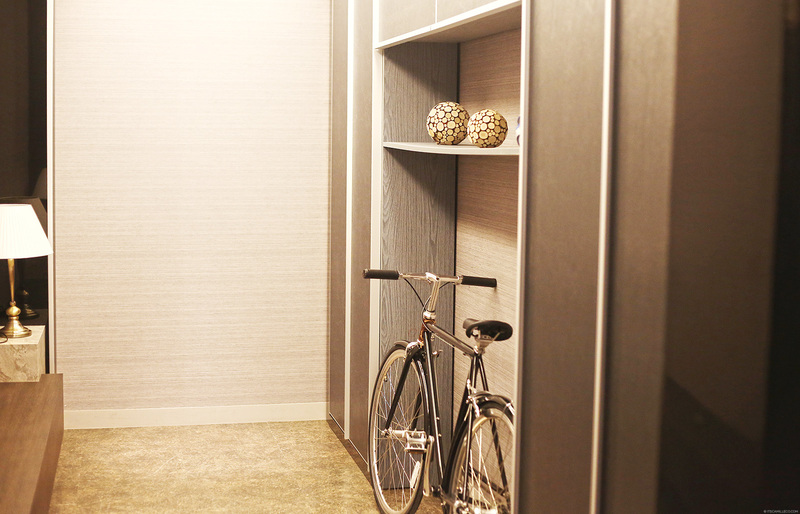 :) I just want to ask, ’cause I’ll be traveling to Korea this July 2016, how can I go to Do Min Joon’s condo? I badly love this movie. Omygahd! Even if you’re waaay too busy you still find time to watch dramas! Hihi we’re pretty much the same, i also watch dramas at night and only less than 2 days haha it’s so fun to watch right? Like even if your eyes are dropping you still choose to watch another episode coz you cant get enough and want to continure the story haha. You’re so lucky talaga ate cams! Those photos are so nice! waaaah! i love Do Min Joon! super tawa ko sa K-Drama na ito! superlight lang kasi ng story and gosh ang mga outfit na isinusuot ni Cheon Song Yi ang gaganda! :) btw, did you also watch Lee Min Ho’s The Heirs? It’s not! It’s very light :) You should watch it! I’M SPEECHLESS. OMG this is a nice place to visit!!! It’s A MUST SEE!!!! I’m not really a K-Drama Fan but I love their bedrooms! Or can I say? EVERYTHING!!! Haha wooow really! Thanks for sharing this! I love Jun Ji Hyun! She’s been my absolute favorite since My Sassy Girl which I can’t believe that she filmed thirteen/fourteen years ago. She’s aged well or should I say she hasn’t aged at all? She hasn’t aged at all! And my god, those legs! I have to see this now! I thought the same too! Wow giveaway!! I can finally surprise my friend and her mom coz they haven’t seen each other for straight 16 years. My friend’s mom works in Korea for so many years. It will be a great gift for them and for me too. Yay!! Thanks Cams! I hope I could win. Wow! 16 years??! That’s such a long time! You are so Gorgeous, in that outfit and I love the photos, so much!!! So cool of them to have an exhibit of a K-drama. Does this often happen? With other K-dramas, I mean. Why until Aug.15 only? :( Oh well, atleast i got to see the MLFTS set on the series and here but it would be nicer to see it personally. 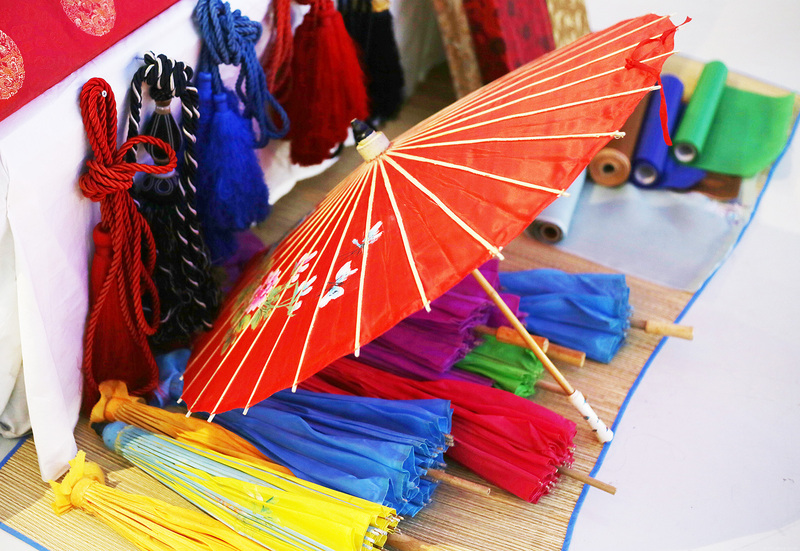 Thank you for sharing your travel diaries to Korea! Hoping to get there someday:-) Saranghae! My pleasure Judy! 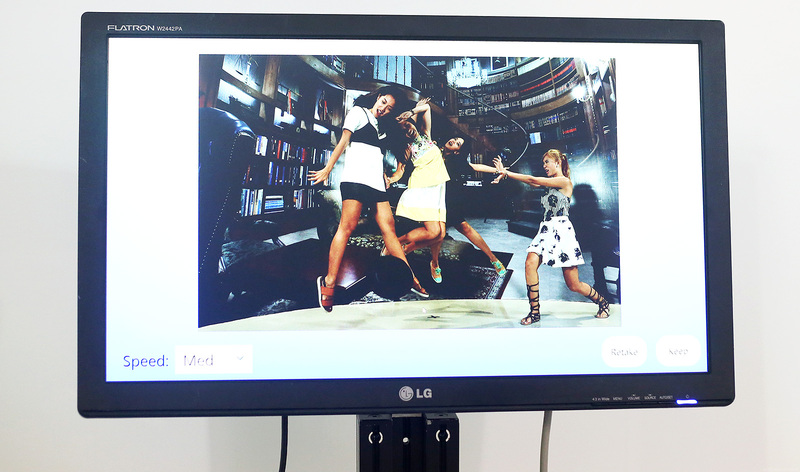 You can just visit the famous landmarks Do Min Joon and Cheon Song Yi visited! I just watched The Heirs! Like a few weeks ago. So cute! NOOOOOO!!! Only until 15th of August??!! I won’t be making it till then! :( Hopefully I win the rounf tickets and squeeze in the time to visit the exhibition! IM SO JEALOUS OMG THE BED ;____; AND THE ROOM And everything and cheon seong yi’s stuff!!!!!!!!!!!!! I can’t stop saying oohhhs and ahhhs while reading this post because I can relate to everything and this just reminds me of the drama ;_; Grabe hahaha I love all her outfits too I praised all her outfits lol!!! So sad that it’s only up to August 15 :(((((((( can do min joon teleport me there T______T Hahahha! Oooh I’ve only seen My Sassy Girl recently. I must check those other movies out! Awww thanks Elden! Don’t worry, no laslas pulso for now. i didn’t see him in person LOL! Thanks Dawn! Next post coming right up! Such a beautiful place to go to. Love the home decor photos. And your outfit is my favorite. Bless this post. I love this series! Song Yi aka Jun Ji-hyun, is amazing! Have you seen her in Windstruck? No! I just saw My Sassy Girl now :) Should I? Oh My. The only Alien that I love. hahaha. Soooo gwapo. Inggit meeee. :( I’ll go there soon if there is any chance. I love Koreanovelas! 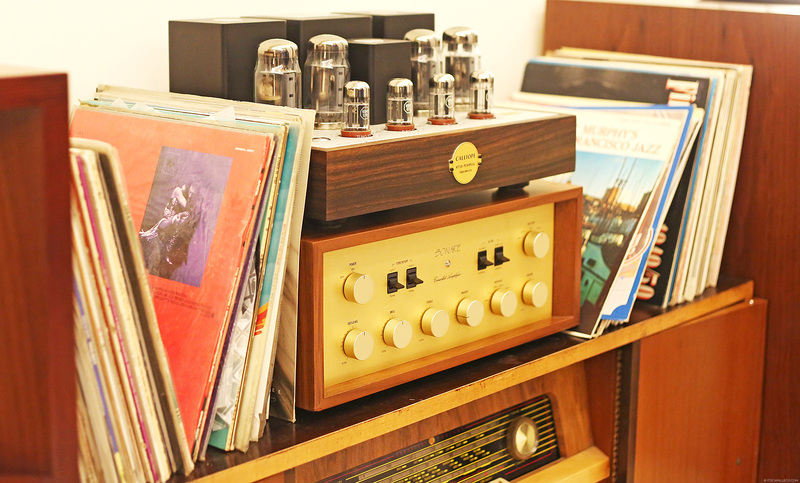 Great stories, great set-ups. Thumbs up. This post just reminded me why I love love love MLFTS!!!!! If an alien that looks like Do Min Joon landed here in the PH I swear I’d marry him right away HAHAHAHA!!! LOL! Super intense! I can feel it! LOL! Then there would be so many fan girls around! Oh sweet! Korea for 2? I hope I get to check Korea off of my travel bucket list. ^_^ I didn’t know you need that much cameras to do that kind of special effects. Super galing naman. Must try!